What Is Reverse Positive Pay? Positive Pay helps with fraud detection. Each time a customer presents a check, the Positive Pay tool will check the account number, the dollar amount of the check and check number to ensure accuracy. Positive Pay is an automated fraud detection tool. Without it, checks wouldn't be able to be checked for accuracy when a customer hands a check over. If the check number, dollar amount on the check and the account number don't match up with the Positive Pay system, the check won't go through, saving future hassle for businesses. Positive Pay works by having a company transmit a file of all the checks they issued. As the issued checks are presented to the bank to be cashed or deposited, they will be compared to the transmitted check file, all of which is done completely electronically. The check will be verified by account number, check number and check amount. If a check doesn't match the one on file, it will become an exception item, which means the bank will send an image or fax of the check to the client. The client will then review the image of the check and will instruct the bank to either return or pay the check. 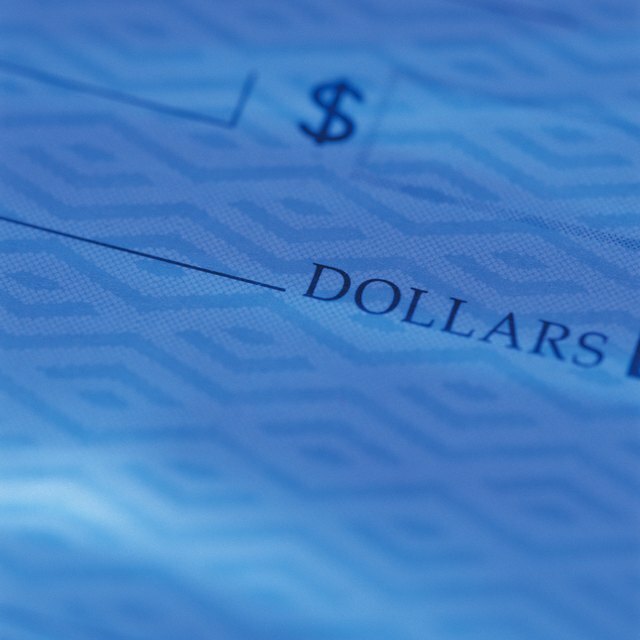 How Safe Are Cashiers Checks? Is the Bank Responsible for Cashing a Forged Check? Laws concerning forgery and fraud will vary depending on your state. If you cash a check and it ends up being fraudulent, you may be responsible for the entire amount. Depending on your state and the bank you use, your bank may have the right to reverse the funds from a cashed check from your account if they find the check to be fraudulent after it is cashed. Pay close attention to who you are accepting money from. Be extra cautious of money order scams and don't cash a check from someone you don't know, even if it has a popular bank on it as it could be a scam. If you ever have a question about a check, you can contact your local bank. Also, to find out if your bank covers fraudulent checks, read their terms and conditions or contact them directly. If you do happen to come across a fraudulent check, make sure to turn it in to the Federal Trade Commission (FTC). Forging and scams are especially common around income tax return season. Some tips to help you not fall for this scam is to ensure the United States Treasury check verification. For example, check for the watermark as all Treasury checks are printed with a watermark that reads "U.S. Treasury." Check for the Treasury seal that says, "Bureau of the Fiscal Service." Another trick is to check for microprinting. Towards the bottom of the check, you will see a line right under the signature. This line is microprinted words that are too small for the naked eye. However, if you grab a magnifying glass, you will be able to see the small words. A printer can't duplicate microprinting so it can't be counterfeited if it meets these requirements. What is an ACH Debit Block On a Bank Account? A debit block protects your bank account from unauthorized electronic charges. With an Automated Clearing House (ACH) block, you can choose which companies are authorized to make direct debits from your account. Additionally, you can refuse and block any electronic drafts. What is a Debit Filter? The ACH is an electronic network for financial transactions such as direct deposit and online bill pay programs. An ACH debit is an automated process that screens all incoming ACH transactions in an attempt to identify any unauthorized debit transactions. Debit filtering is a critical tool aimed to reduce the risk of fraud. Having this system in place allows ACH debits to be reviewed, filtered, approved or returned so only approved transactions post to accounts.